Many new parents are familiar with what STEM learning is, however, not all parents grew up learning this now-popular method of education. For those unfamiliar, STEM stands for Science–Technology–Engineering–and Mathematics. The concept was introduced in early 2001 by scientific administrators of the U.S. National Science Foundation (NSF). 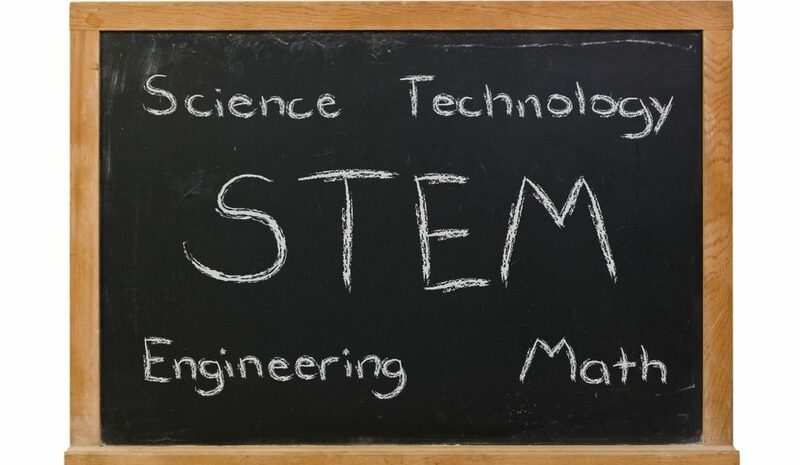 Studies conducted in the early 2000’s showed that U.S. students were not achieving high in the STEM disciplines at the same rate as other countries around the world, thus, STEM curriculums were quickly implemented into U.S. K-12 schools. As STEM learning has become more adopted, many educators and parents are implementing STEM activities for kids into their playtime at homes. Is STEM right for my child? It’s a common myth that STEM is only for certain kinds of students. The fact is, STEM learning is important for ALL ages of children and easier than you think to implement into your child’s life. With STEM learning having grown by 17% over the past 10 years and careers involving STEM expected to continue growing due to technology, it’s evident STEM learning may play a vital role in your child’s education. It’s debated at what age of education STEM learning should be implemented; although it’s important to understand that STEM activities can be incorporated easily into children’s everyday activities regardless of their age! It’s important for children to have adult support to help expand their learning capacity for STEM. These are a few of our favorite STEM activities you can do with your children at home. 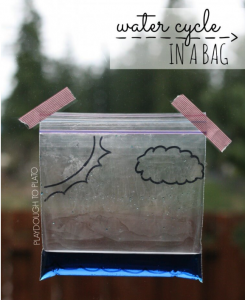 Water cycle in a bag (Science) – all you need is a plastic zip-lock bag, a sharpie, and some water to teach your kids about the water cycle. 2. Teach simple physics with the Jundroo app (Technology/Engineering)– download this fun design app to teach kids about simple physics by designing things such as a treehouse or a ferris wheel. 3. 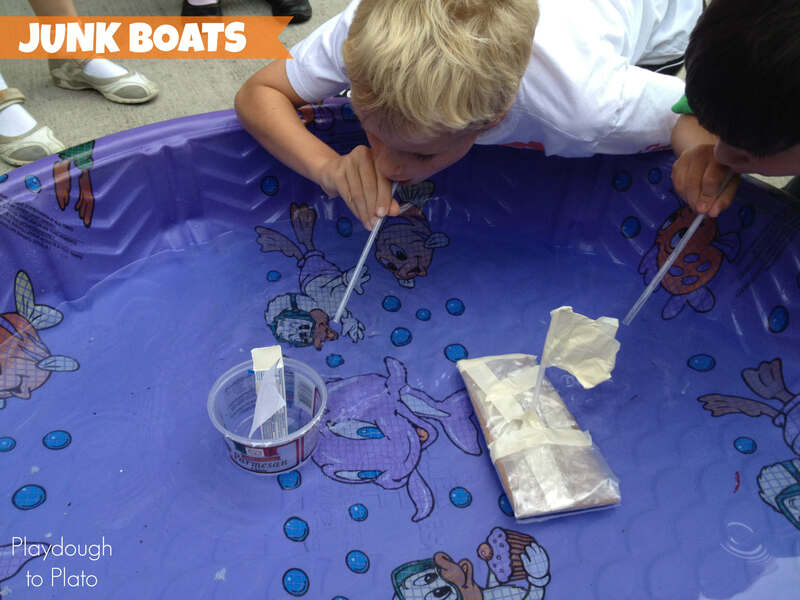 Create junk boats! (Engineering) - using common household materials, teach your kids what it takes to make a boat float in this fun challenging activity! 4. 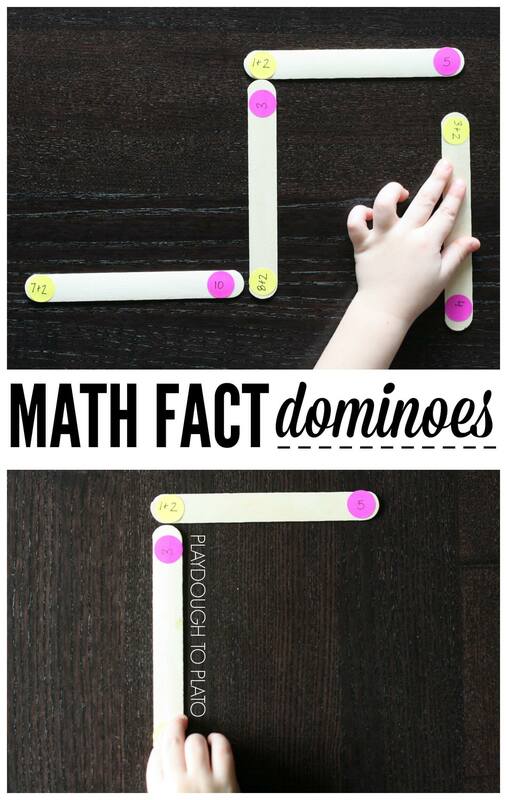 Play Math Dominoes! - With just popsicle sticks, create a fun and engaging game to practice simple addition or subtraction. Give your children toys that have “manipulative elements” such as balls, rattles, or building blocks. Have children explain how simple tools around the house work, such as a door handle or a light switch. When appropriate, ask children as many “what”, “how”, and “why” questions as possible. Use mathematical concepts when possible, such as quantity, size, shape, or type. Communicate using senses such as sight, taste, smell, touch, and sound. 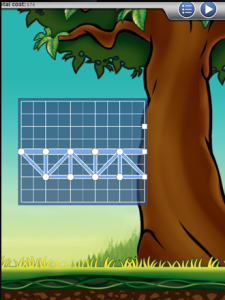 Use patterns and repetition in activities to help improve memory function. Now that you’re more familiar with STEM learning and practices, you can help your child increase their STEM knowledge right at home! Fusion Early Learning Preschool is a proud supporter of STEM activities for kids in our preschools. Our fun Circuit Theory curriculum incorporates many STEM learning activities to help excel early learning for young preschoolers. Sign up to for a FREE tour and take the first step in making your kid a Fusion Kid!